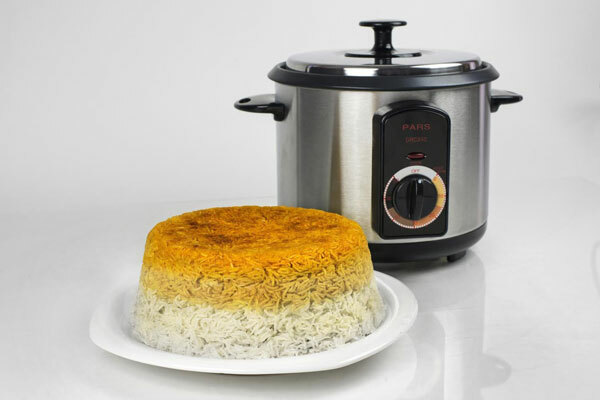 PARS Automatic Persian Rice Cooker: a 10-cup rice cooker that makes delicious tahdig. 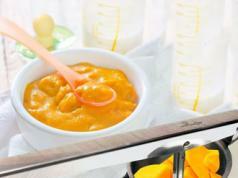 It features a removable teflon non-stick pot. Spinarri EX Motorized Skewer: a motorized tool with a stainless steel construction that rotates your kebabs, so you don’t have to. 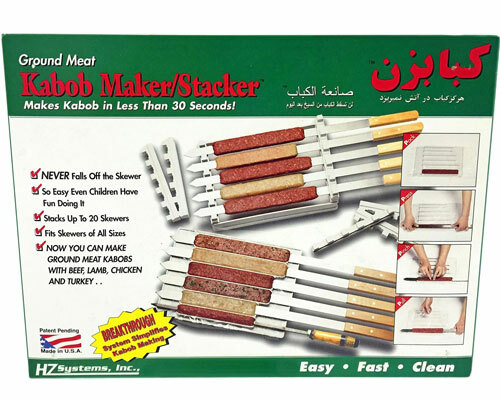 Kabob Maker and Stacker: lets you stack up to 20 skewers, saving you time preparing kabobs. 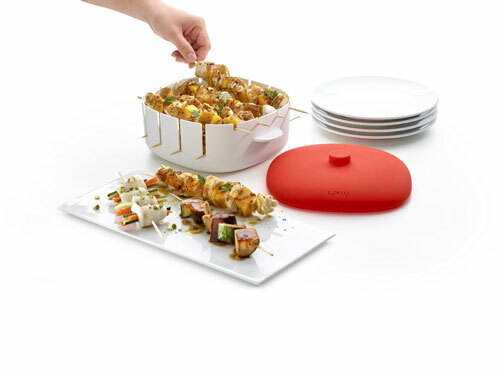 Skewer Maker Box: lets you prepare beef, poultry, fish, cheese, and other skewers. It has dishwasher safe parts. 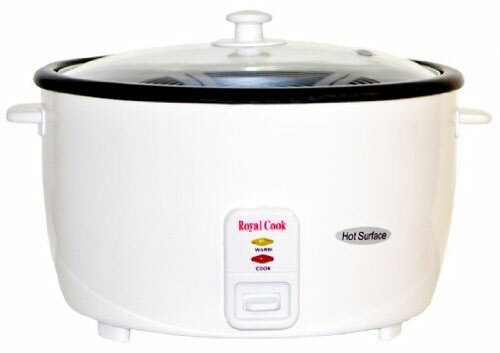 Royal Cook Persian Rice Cooker: simply makes crispy rice. It has up to 25 cups capacity based on the model you pick. Persian Kebab Koobideh Maker: a Persian kebab maker that lets you prepare your own kebab koobideh faster. 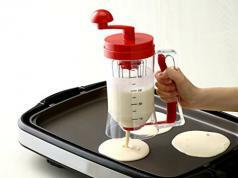 Just add your ingredients, insert your skewer, and work the hand crank. 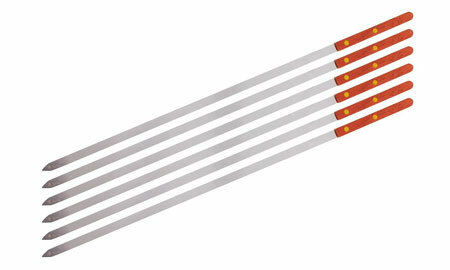 Cheftor Skewers for koobideh kebabs: these work for a variety of kebabs. They measure 23″ long and have riveting wood handles and sharp ends. Homemade Kebab Machine: you don’t always need to buy tools to prepare kebabs. This homemade machine lets you use a plastic bottle, an empty can, drill bits, pipes, and a few other parts to make your kebabs. 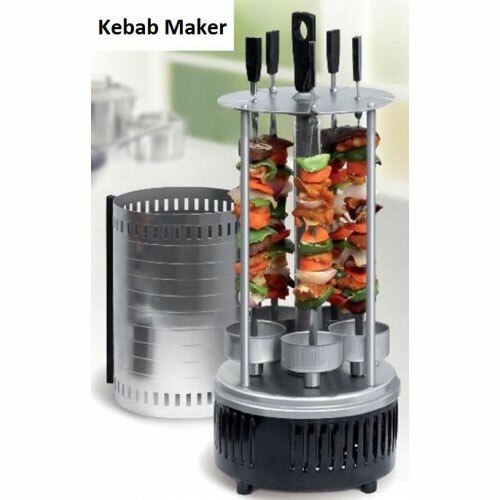 Home Kebab Maker: lets you make kofteh, Persian koobideh, and other kebabs. This 1000W machine is easy to clean. 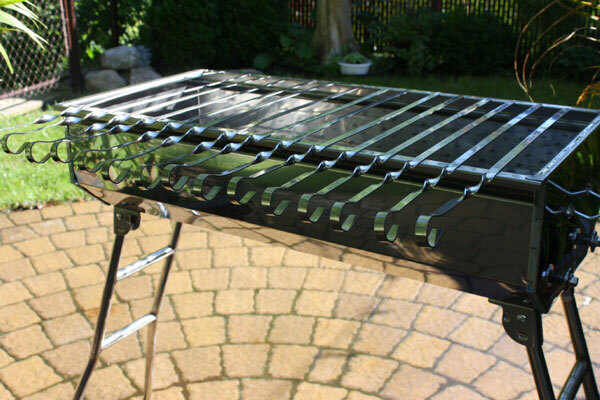 Portable Kebab Grill: lets you cook Kebab, Souvlaki, and more. It has foldable legs and adjustable vents. Lekue Kabob Cooker: you can use this to steam cook your kabobs, just in case you don’t want to use additional oil in your food. 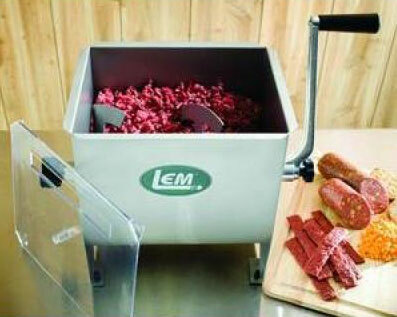 LEM Manual Meat Mixer: a manual mixer with 20 pound capacity. You can use it to make sausages, kebabs, and everything in between. 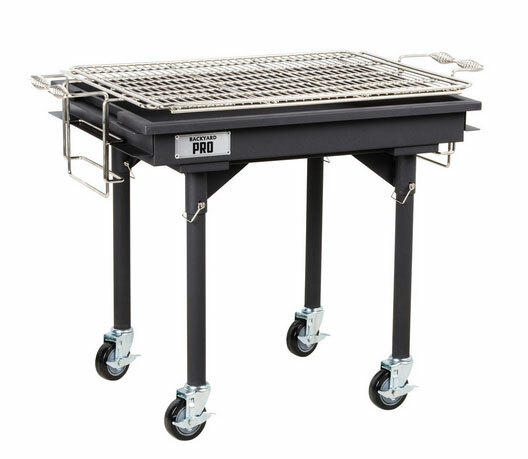 Backyard Pro 30″ Charcoal Grill: a heavy-duty steel charcoal grill with removable legs and cover. 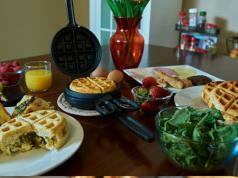 It offers 30″ x 24″ of cooking surface, an adjustable grate, removable legs, and lockable casters. Have you found better Persian kebab makers and tools? Please share them here.